residence, Friday evening, November 9, 2012. She was born April 19, 1917 in Jersey City, New Jersey to the late Frank and Florence Theismeyer Fritts. She was a resident of Warren, PA. since 1983 moving here from Cleveland, Ohio. She was employed as Director of the Noble Road Presbyterian Church Nursery School in Cleveland Heights, Ohio for 10 years retiring in 1982. She was a member of the Warren First Presbyterian Church. 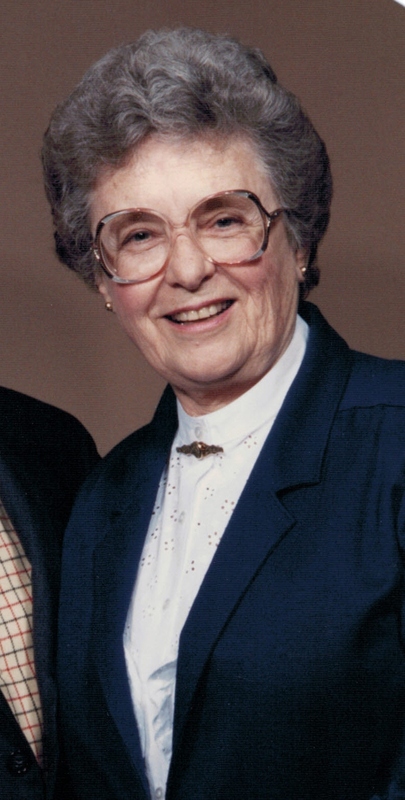 Eleanor had served with the U.S Navy during World War II as a Lieutenant. She is survived by her 2 children – David F. Jones and his wife, Kathleen, Martha Jones all of Warren, PA., 1 Granddaughter – Katherine Amos and her husband, Kevin whom she helped raise in Willowick, Ohio, 3 Great Grandsons. In addition to her parents, she was preceded in death by her husband, Gomer J. Jones whom she married August 10, 1943 in New York City, N.Y., who died September 7, 2007, 1 Sister – Louise Clewell. A private memorial service will be conducted at the convenience of the family by Rev. Ellie Johns-Kelly Pastor, officiating. Interment will be in Warren County Memorial Park. Those wishing to place memorials may do so through Rouse Warren County Home Patient Activities Fund, P.O. Box 207, Youngsville, PA. 16371 or Hospice of Warren County, 2 Crescent Park, Warren, PA. 16365 or a charity of one’s choice. E-mail condolences may be sent by visiting www.lewisfuneralhomeinc.com The Donald E. Lewis Funeral Home, Inc. is in charge of funeral arrangements.